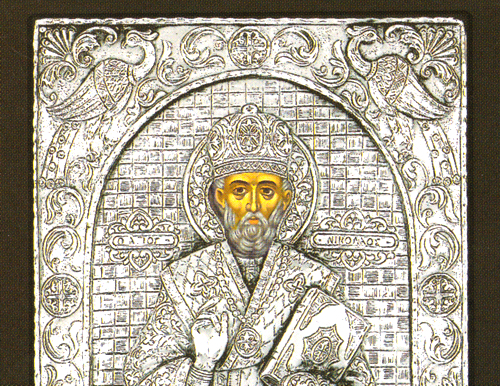 An exquisite silver Greek Orthodox icon of St. Nicholas. St. Nicholas was a historic 4th-century saint and Greek Bishop of Myra in Lycia. Because of the many miracles attributed to his intercession, he is also known as Nikolaos the Wonderworker. His feast day is the 6th of December.